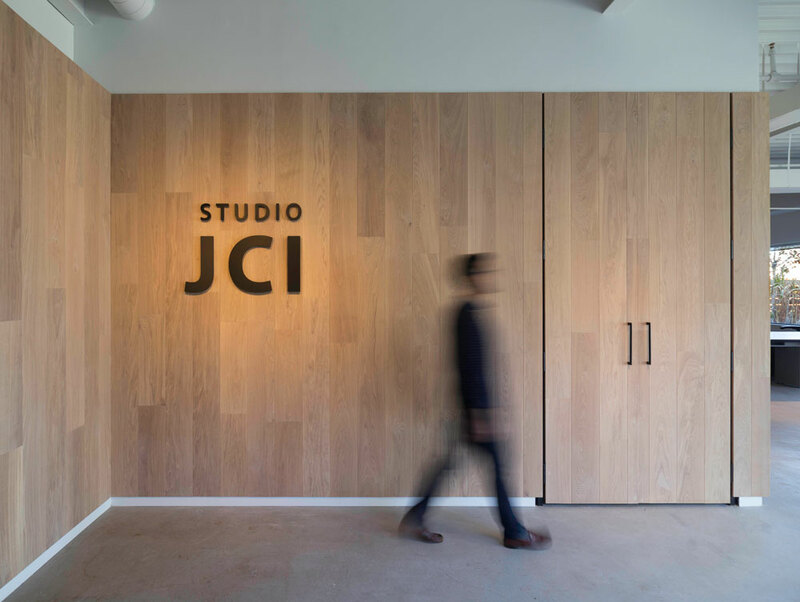 In searching for a new home for Studio JCI, the key attributes we looked for included proximity to transit, high quality HVAC systems and indoor air quality, and an industrial-type interior with lots of natural daylight. The chosen base building is located across from Downsview station, operates on a geothermal heating/cooling system, and has 2 green walls in the atrium filtering the air. Additionally, the suite itself has expansive south-facing windows, and walks out to a 6500+ sf communal roof garden. Upon entering the suite, a white oak clad wall directs visitors inward, toward a lounge area. Here visitors can congregate and socialize. The ceiling of the space was left exposed and whitewashed, revealing the steel beams, metal deck, pipes and ductwork; maximizing the ceiling height, and reinforcing the raw but light nature of the space. The workstations all flank the south wall, providing an abundance of sunlight for the employees. The open concept workstations facilitate the collaborative nature of the studio. 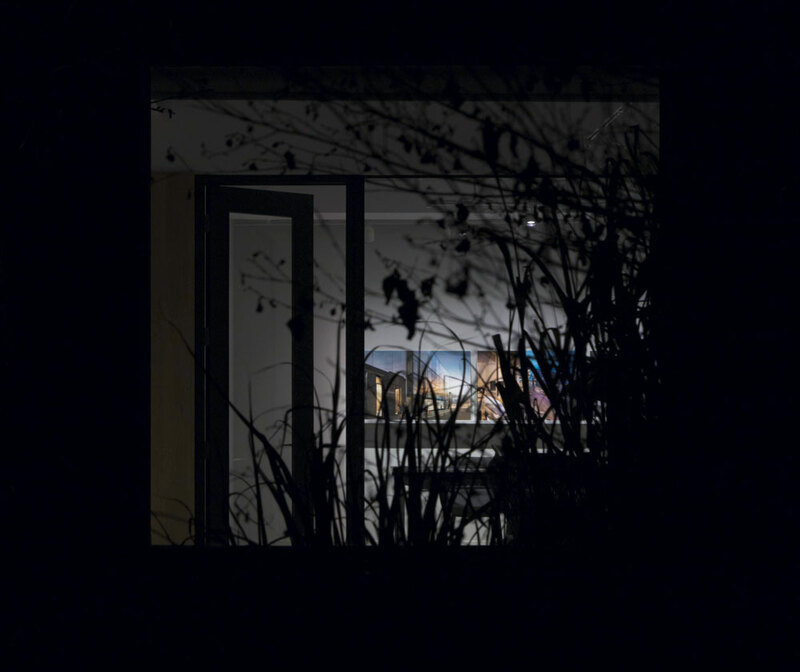 Enclosed rooms and back of house spaces are located opposite the exterior wall, and remain sunlit and visually connected through glazed partitions.